Just in time for Halloween, the co-founder of the Satanic Temple is threatening to sue Netflix. 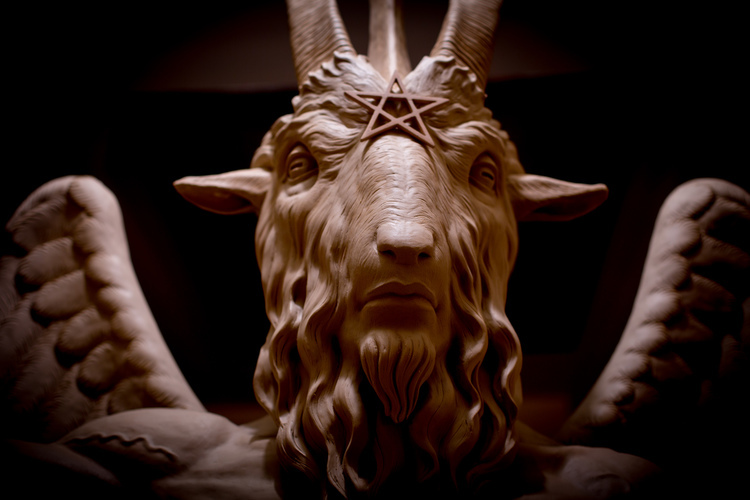 Just in time for Halloween, the co-founder and spokesman for the Satanic Temple, Lucien Greaves, is threatening legal action against Netflix for featuring a statue that appears nearly identical to one it commissioned in 2014 in its new series The Chilling Adventures of Sabrina. Brooklyn-based artist Mark Porter depicted the goat-man deity Baphomet, the pagan idol that the Knights of Templar were accused of worshiping, sitting in a throne before two admiring children. The Satanic Temple commissioned the work as a response to a statue of the Ten Commandments erected on the site of the Oklahoma State Capitol in 2012, which the Temple says is a violation of the separation of church and state. “Yes, we are taking legal action regarding #TheChillingAdventuresofSabrina appropriating our copyrighted monument design to promote their asinine Satanic Panic fiction,” Greaves tweeted a few days ago. He did not immediately respond to a request for comment.